SANTA CLARITA, Calif. (KABC) -- The more than 6,000-acre Rye Fire burning in the Santa Clarita area was 90 percent contained Sunday, according to Cal Fire. More than 800 personnel responded to the scene of the blaze when it ignited Tuesday morning near the 2500 block of Rye Canyon Loop. In less than two hours, it had spread to 5,000 acres, destroyed one structure. One of the firefighters suffered an injury during the firefight. 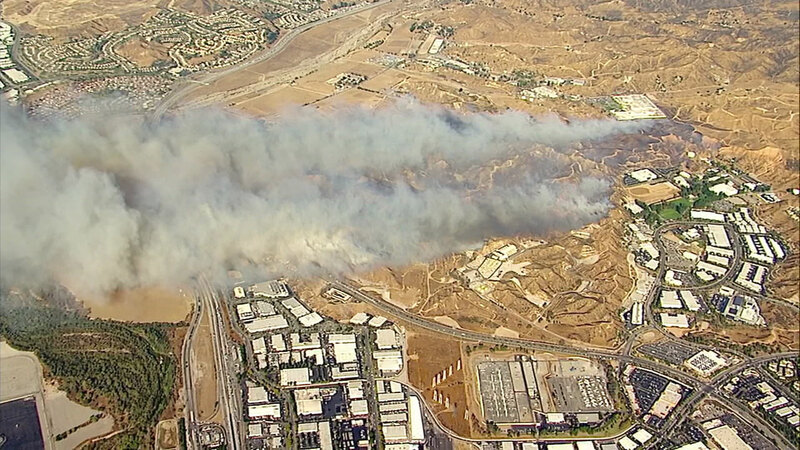 The origin of the blaze was north of Newhall Ranch Road and west of the 5 Freeway. Fire officials expect to fully contain the blaze by Dec. 15.